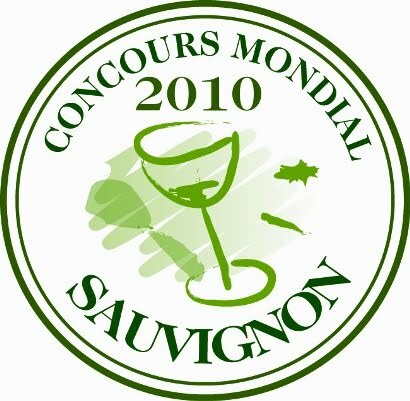 The Concours Mondial de Bruxelles – together with the ODG Bordeaux and Bordeaux Superieur – launched the first Concours Mondial du Sauvignon during the Bordeaux Fete le Vin wine fair earlier this year. Over 40 tasters from ten countries took part. 512 wines were presented for this first edition, from France, South Africa, New Zealand, Japan, Switzerland, Spain, Italy, Germany, Greece and Brazil. France dominated both awards and entries – with over 300 entries and 90 awards. Chile was the next most successful, with 61 entries and 21 medals. Along with Sémillon, Muscadelle and Ugni blanc, Sauvignon Blanc is one of only four white grapes allowed in the production of white Bordeaux AOC In the Sauternes region, the grape is blended with Sémillon to make the noble sweet Sauternes. The composition varies from producer and can range from 5-50% of Sauvignon Blanc, with the Château d'Yquem using 20%. In Australia, particularly the Margaret River region, the grape is often blended with Sémillon. In the 1990s, Sauvignon Blanc wines from the maritime climatic regions of New Zealand, particularly the South Island, became popular on the wine market. In North America, California is the leading producer of Sauvignon Blanc with plantings also found in Washington State. In California wine produced from the Sauvignon Blanc grape is also known as Fumé Blanc. This California wine was first made by the Robert Mondavi Winery in 1968. Fume Blanc as an allusion to the French Pouilly-Fumé. Sauvignon Blanc is also beginning to gain prominence in areas like South Africa's Stellenbosch and Durbanville and Italy's Collio areas. Around 80,000ha of Sauvignon Blanc are estimated to be planted worldwide, with the largest concentrations in France and New Zealand. Here are the winners of a Special Trophy. The Aufricht Estate at Lake Constance in Baden, Germany, did not make it to the Special Trophy group, but won a Gold Medal. I visited the Aufricht Estate a few months ago. In Baden, the wine industry is dominated by wine co-operatives; they account for 85% of the region's production. Private winemakers are the exception. One of these exceptions is the Aufricht Estate. They started out as a member of a wine co-operative and became independent about 20 years ago, after the brothers Robert and Manfred Aufricht had taken over from their parents. Manfred, the younger of the two brothers, explained that all grapes are selectively hand-picked. For over ten years now the Aufrichts follow environmentally-friendly winemaking principles. Germany’s Prädikat Wine Estates – the members of the VDP (Verband Deutscher Praedikatsweingueter) - celebrated the 100th Anniversary of the VDP in 2010 in Germany’s Capital Berlin during September 4 to 6, 2010. I was happy and proud to participate. Among the side-events, the presentation of the new Grosses Gewaechs wines was one of the highlights. I have given a run-down of the whole series of events here and have reported in more detail on the event: 70 Galleries - 200 Winemakers - 1000 Wines here, on the official ceremony in the Berlin Cathedral here, on Jancis Robinson and Hugh Johnson, who participated in the events, here and on the bottle party at Wein Bar Rutz here. The term Grosses Gewaechs was introduce a few years back by the VDP for use by its members only. Grosses Gewaechs wines are always fully fermented, dry wines from Erste Lage vineyards of exceptional quality . The Grosses Gewaechs label is thought to resemble the Grand Cru designation in neighboring France. Here and there, these wines refer to a top dry wine from a top vineyard. About 150 sites have been officially deemed ‘premiers crus’ or Erste Lagen, capable of making a great growth, or Grosses Gewächs. Picture: Stefan Maria Friedrich from Nomacorc, the Initiator of Relaunch F, a Project to support the Faberrebe in Rheinhessen. As a rule Grosses Gewaechs wines are always sold as QbA wines – Qualitaetswein besonderer Anbaugebiete, although as a condition they must be at least at Spaetlese level in terms of sugar content at harvest. QbA wines, under German law, are allowed to be chaptalised, with the purpose of increasing the alcohol content of the wine. More generally, under the new classification system of the VDP, all dry wines are systematically labeled as QbA wines. In addition to Grosses Gewaechs wines, there is also the concept of Erstes Gewaechs wines. These terms basically mean the same thing, but for some reasons the latter is used in the Rheingau and the former in all other wine regions. Importantly, in Hessen, Erstes Gewaechs is not a term reserved only for VDP winemakers, but all winemakers can produce an Erstes Gewaechs wine, if the wine meets the quality requirements. White Grosses Gewaechs wines are not allowed to be released before September 1 of the following year. Red Grosses Gewaechs wines are supposed to age at least another year and thus are released in the following year. What you found on the tabels were thus 2009 white and 2008 red Grosses Gewaechs and Erstes Gewaechs wines. The event was not comprehensive presentation of the new Grosses Gewaechs and Erstes Gewaechs wines, since those Erstes Gewaechs producers that are not members of the VDP were not present at the VDP presentation. Not all wines presented were dry and carried the label Grosses Gewaechs. In particular in the Mosel area, winemakers like to leave their wines with a level of residual sugar that exceeds the norm of the Grosses Gewaechs wines. Accordingly, some of the wines I tasted were Erste Lage wines; however due to their level of remaining sugar they were not labeled as Grosses Gewaechs wine, but still presented with the other dry wines. Lets us start with the Rheingau, home to some of the most famous, most well-heeled, classic estates, a region of which I am big fan of although the Rheingau winemakers are often being criticized of not being innovative enough. My favorite village is Hochheim, just 30 minutes away from Frankfurt am Main by S-Bahn. Hochheim has 2 VDP members - Weingut Kuenstler and Weingut Domdechant Werner – and both presented a collection of Grosses Gewaechs wines that exceeded my expectations. The number 1 winemaker of the Rheingau is Wilhelm Weil and the wines of Weingut Wilhelm Weil were again very convincing. This year, I spent a lot of time with my facebook friend Christian Ress from Weingut Balthasar Ress in Hattenheim, a renowned winery that produces consistently good Grosses Gewaechs wines and exports a lot of them to the US. I was also intrigued by the wines of Weingut Allendorf; I had lost touch with Weingut Allendorf over the years, but I rediscovered it at the tasting in Berlin. Interestingly, Ulrich Allendorf has created a "Color Room" at his winery, where you can taste wines in different lighting - red, blue, green, etc - and appreciate how color impacts on how you perceive a wine. Fred Prinz from Weingut Prinz in Hallgarten, winner of this year's Sauvignon Blanc Trophy Germany, present a strong selection of Erstes Gewaechs Riesling wines. Another wine region that is close to my heart is Rheinhessen. Kirchspiel and Morstein, until a few years ago were hardly known outside their own area, have been put definitively on the international map by the twin talents of Philipp Wittmann and Klaus-Peter Keller. But I also found this year’s Grosses Gewaechs wines of Weingut Battenfeld Spanier, Weingut Grobe and Weingut Gebrueder Dr. Becker very promising. Sachsen, a small wine region in the former East Germany, does not yet play in the first league, but it is catching up. I am very pleased about this development as I was born in the capital of the State of Sachsen, Dresden. Dr. Georg Prince zur Lippe, who repurchased Weingut Schloss Proschwitz after reunification, continues to produce increasingly fascinating wines, including a Grosses Gewaechs wine. As has been evident now for many years, the Nahe is home to a reassuringly competitive winemaking ethos. Accordingly, Weingut Schaefer-Froehlich, Weingut Doenhoff and Weingut Emmerich-Schoenleber presented again a strong collection. I also paid attention to Armin Diel from Schlossgut Diehl who also produces the Riesling Poet’s Leap in a joint venture with Long Shadows Vineyards in Washington State in the US. I liked Armin Diel’s range of Grosses Gewaechs wines very much. In the Pfalz, VDP President Steffen Christmann shined with the Mandelgarten and the Idig. These were for me perhaps the best wines of the presentation. But I was also intrigued by the Grosses Gewaechs wines of Weingut Georg Mosbacher in Forst, in particular by the Freundstück. Traditionally the Mosel-Saar-Ruwer, Germany’s northernmost wine region, has been associated much more readily with delicate, low alcohol wines with some residual sweet fruitiness rather than with the more austere, dry style demanded by the letter of the Grosses Gewächs law. Thus, generally, the Mosel winemakers are a bit at the edge when it comes to the Grosses Gewaechs wines concept. In fact, many of the wines presented were Erste Lage wines but not Erstes Gewaechs wines, because they did not meet the Erstes Gewaechs requirements in terms of remaining sugar. I was in particular impressed by the wines of Roman Niewodniczanski (Weingut Van Volxem in Wiltingen in the Saar valley) and Reinhard Loewenstein (Weingut Heymann-Loewenstein in Winningen in the Mosel valley). I liked the former’s Volz and the latter’s Laubach. Picture: Reinhard Loewenstein (Weingut Heymann-Loewenstein in Winningen) with Dagmar Ehrlich, Journalist. In this region, way to the east of most German wine regions and distinguished by its squat green flagon-like wine bottles, Horst Sauer from Weingut Horst Sauer stood out, with really convincing racy, super-clean fruit, a nice lick of earthiness and great balance. I was very much convinced by the wines of Friedrich Becker from Weingut Becker in the Pfalz, Werner Naekel from Weingut Meyer-Naekel in the Ahr and Ludwig Kreuzberg from Weingut H.J. Kreuzberg in the Ahr. But there were other red wine producers eye to eye with my 3 favorites. I went with the Virginia Wine Meet-Up Group to a tasting at Corcoran Vineyards. Corcoran Vineyards is owned and managed by the husband and wife team Jim and Lori Corcoran. 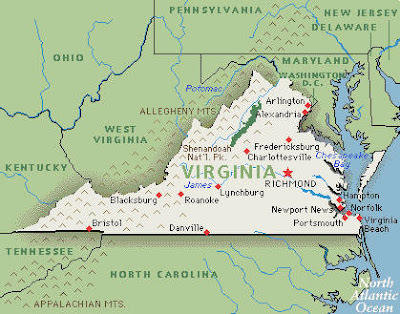 It is located in the charming village of Waterford, just northwest of Leesburg in Loudoun County, Virginia. Lori graduated from San Jose State University back in 1989 with a degree in Administration of Justice. Her intent was to join the FBI. But she got sidetracked and decided to open a winery and become a winemaker instead. When not making wine, Lori is busy raising four kids on the farm and also volunteers whatever other free time she has to numerous worthy causes. The tasting room is housed in a 1750’s log cabin on the family's property . It is separate from the state of the art winery. In nice weather there are also picnic tables and plenty of lawn to throw a blanket. In 2002, the Corcorans planted their first block of Chardonnay grapes on their farm – which is known as Corky's Farm. Today, Corcoran Vineyards produces 2,000 cases of wine annually. Lori and Jim are very active in terms of social media: They have 2 twitter accounts (Lori started to tweet in 2008;Corcoran was one of the first Virginia wineries to do so), 2 Facebook accounts (Corcoran Vineyards & Corcoran Wines), both Lori and Jim are on LinkedIn and Lori also blogs (Off the Vine with Lori). Here is Corcoran’s current line-up with winemaker notes. The Viognier grape is gaining a foothold in Virginia’s vineyards and wineries. Corcoran Vineyard’s 2008 Viognier is characterized by its aroma of honeysuckle blossoms and flavors of crisp white peaches with cantaloupe and honeydew melons. Tank fermentation & aging accentuates the fruit flavors and spicy finish. Our Viognier is 100% dry but is often perceived to have some sweetness because of the intense fruit character of this grape. The classic pairings for this wine are Maryland Crab Cakes or spiced shrimp. SOLD OUT! The Chardonnay is a nice balance between stainless-steel and oak. The aroma offers hints of peaches and green apples. Traditional chardonnay lovers will notice the slight oak tannins while those who desire a stainless steel chardonnay will appreciate the crisp, fruit flavors. Perfect for your holiday appetizers and pumpkin pie. Traminette, a relative of Gewurztraminer, has plenty of spice and exotic fruit on the palate. Grapes from La Paz Vineyards produce this semi-sweet white with an unmistakable and intensely aromatic scent of roses. Look for flavors of lychee and mango with sweet honey and nutmeg on the finish. Try this wine on its own or with spicy Thai or Mexican cuisine. SOLD OUT. Chambourcin is a French-American hybrid grape with deep blue/black skins that produces a lighter bodied wine with a distinctive vibrant purple color. The generous fruit flavors of black cherry and cranberry are the result of an early bottling after being lightly aged in American and French oak. This is the first year we have produced it as 100% Chambourcin. The aromas fill the senses with berries, nutmeg, and oak. This red would be nice with pork, turkey, or smoked salmon. 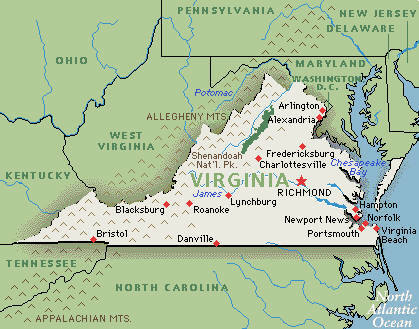 The Cabernet Franc grape has found a home in Virginia and does especially well in the Piedmont terroir of Northern Virginia. This Bordeaux grape is fruitier and lighter than its offspring, Cabernet Sauvignon. Our 100% Cabernet Franc wine is showing typical dark cherry and raspberry fruit flavors balanced with hints of spicy black pepper. With its mild tannins, this is excellent to pair with grilled beef and stronger tasting vegetables such as roasted eggplant. Malbec is a Bordeaux varietal which usually takes a supporting role to the big Bordeaux reds like Merlot or Cabernet Sauvignon. This nicely aged wine is showing rich aromas full of ripe black cherry jam and coffee with a touch of spice. Well balanced with a medium-body, it offers vanilla, plum, and chocolate flavors with a long, satisfying finish. This wine would be suitable for aging in your wine cellar or can be enjoyed now with full-flavored grilled beef or best paired with chocolate! "Meritage" describes wines that are a strict blend of the grape varietals traditionally grown in the Bordeaux region of France. The blending of wine from this region is said to be the highest form of the winemaker’s art. Our 2007 Meritage is a carefully balanced blend of Malbec, Cabernet Franc and Merlot with prevailing flavors of black cherry. This wine has a velvety smooth mouth feel and is accentuated by a good tannin structure, sufficient oak and a pleasingly long finish. Seyval Blanc is a hybrid grape with citrus flavors and herbal characteristics on the nose. It has a moderate level of sweetness and flavors of fresh lemons and limes. The grape’s firm acidity balances well with the residual sugar for a tart, satisfying finish. We think you'll find it to be a lovely sipping wine. This wine is packaged in a 375 ml bottle - just enough to share a glass with a friend! Among the side-events, one of the outstanding events was the “Hausbesetzung” dinner at Wein Bar Rutz on Saturday evening, September 4, 2010, followed by the 10th Bottle Party which started at 23:30. I participated in the latter. It was a fantastic party. I have given a run-down of the whole series of events here and have reported in more detail on the event: 70 Galleries - 200 Winemakers - 1000 Wines here, on the official ceremony in the Berlin Cathedral here and on Jancis Robinson and Hugh Johnson, who participated in the events, here. Rutz Wein Bar is not only a top wine bar—it is also a top restaurant and a top wine store. Rutz Wein Bar has an extensive wine list, about 1000 or so wines, largely from Germany and other European countries. For example, Rutz offers about a dozen wines from one of my favorite winemaker, Weingut Kuenstler in the Rheingau. Wein Bar Rutz also has some excellent New World wines including about a dozen different vintages of Opus One. The oldest one—1985—goes for Euro 392 in the wine store, and Euro 410 at the wine bar. The nice thing is that you can consume all wines for the wine-store- price plus a corkage fee of Euro 18. There is also a broad selection of wines by the glass. You can also eat at the bar from the exciting bar menu; I love the “Rinderroulade”—a German specialty. The kitchen and the main part of the restaurant, including an outside deck, are on the second floor. The restaurant is one of the best in Berlin, with 1 Michelin star. Chef Marcus Mueller offers a number of multi-course menus at various price points. You can also eat a la carte for Euro 20 to 30 per course. Another strong point of the Rutz is Billy Wagner, the very entertaining and knowledgeable sommelier. He had invited for a bottle party that started 30 minutes before midnight. The entrance fee was Euro 19 or alternatively a bottle of a Grosses/Erstes Gewaechs wine. The following winemakers had donated their grand cru wines and many of them were present at the bottle party: Weingut Reinhold Haart, Weingut Dr. Loosen, Weingut Clemens Busch, Weingut Karthäuserhofberg, Weingut St. Urbans-Hof, Weingut Forstmeister-Geltz Zilliken, Weingut van Volxem, Weingut H. Dönnhoff, Weingut Schäfer-Fröhlich, Gut Hermannsberg,Weingut Peter Jakob Kühn, Winneburg'sche Domäne Schloss Johannisberg, Weingut Josef Leitz, Weingut Wittmann, Weingut Battenfeld-Spanier, Weingut St. Antony, Weingut Wagner-Stempel, Weingut Koehler-Ruprecht, Weingut Georg Mosbacher, Weingut Siener, Weingut A. Christmann, Weingut Dr. Bürklin-Wolf, Weingut Ökonomierat Rebholz, Weingut Jürgen Leiner, Weingut Zehnthof - Familie Luckert, Weingut Weltner, Weingut Hans Wirsching, Weingut Gerhard Aldinger, Weingut Seeger, Weingut Salwey, Weingut Adeneuer, Weinhaus Reichsrat von Buhl, Staatsweingut Weinsberg. The place was packed at 23:30 and only a little bit less full at 2:00 in the morning, when we left. It was a great opportunity to network and make new friends as well as to catch up with old friends. I visited - with the Weinfreundeskreis Hochheim – the Wine Cooperative Hagnau, a little village at Lake Constanze in Germany. The wine tasting started at a Torkel, an old wine press. The Torkel of Hagnau is hugh. It dates from the year 1747. This kind of wine press is called Torkel, which comes from the latin word torquere – to turn around. The Torkel in Hagnau looks ancient, but had been in use for some of the wines from Hagnau that people may still have in their cellars - until 1956. In those days, there were 26 Torkels in Hagnau. Before winemakers started to use a Torkel, grapes had been stamped by feet to produce must. The Romans brought the tree presses to Germany. They were used over many hundred years, until the recent past. Picture: Christian G.E.Schiller with Karl Sonntag who was for many years the winemaker of the Winzerverein before he retired a few years ago. Winzerverein Hagnau is the oldest Wine Cooperative in the Baden region. It was founded in 1881 by Pastor Dr. Heinrich Hansjakob. The secularization of 1803, when Napoleon tried to reorganize Europe by expropriating the Church and giving the assets to dukes and margraves that were on good relations with him, had an important impact on the economic sitation of the Hagnau winemakers. Before secularization, for about 110 years, the winemakers of Hagnau were under the rule of the Benedictine Abbey of Weingarten. The wine cellars of the Hagnauer Winzerverein date from these days. These were not bad days. Under the monastery’s rule, the winemakers received as a reward for their work half the wine yield and a field on which they could grow potatoes and vegetables for self-catering. The vineyard area is 140 hectares. The grape distribution is as follows: 40 % Müller-Thurgau, 40 % Spätburgunder, 8 % Ruländer/Grauburgunder, 3 % Weißburgunder, 2 % Bacchus, 2 % Kerner, 5 % other, including Regent. On average, the yield is 9000 liter per hectar. On 10% of the vineyard area, the yield limitation is much stricter, 4500 liter per hectar, for the production of premium wines. Very popular are the Weissherbst wines, which are rosé wines from a single variety. They are often made in the off-dry style. Interestingly, the Winzerverein has a Weissherbst Eiswein in its wine portfolio, for Euro 19 in the 0.375 liter bottle. The Winzerverein Hagnau also sells a sparkler, a 2009 Hagnauer Burgstall, Pinot, blanc de noir, brut, for Euro 10.